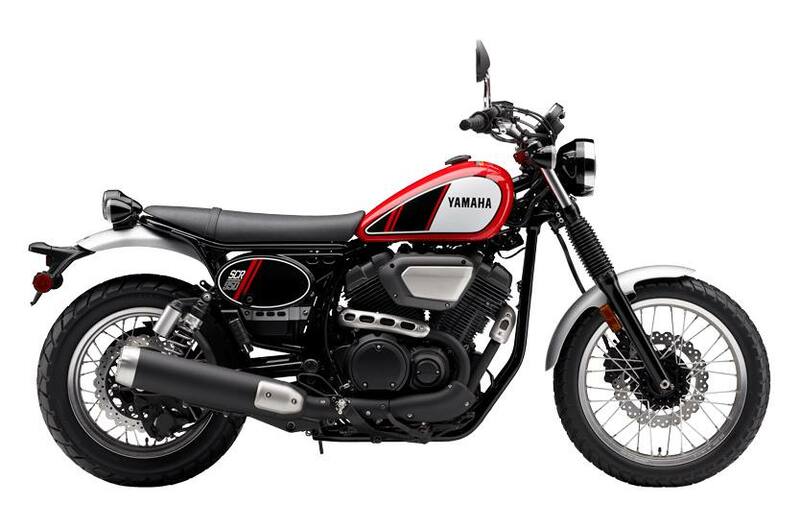 Power: Powering the SCR950 is Yamaha's reliable 942 cc, air-cooled, 4-valves per cylinder, 60° V-twin engine which produces excellent torque and power delivery across a wide RPM range. 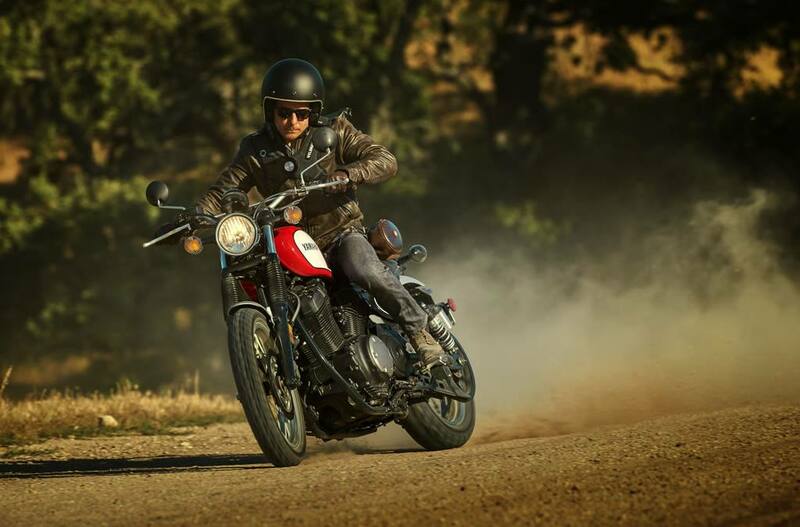 Style: The SCR950 comes fitted with a flangeless teardrop tank, vintage graphics with matching number plates, wide handlebars with crossbar, and block pattern tires mounted on lightweight aluminum spoked wheels to give that distinct scrambler character. 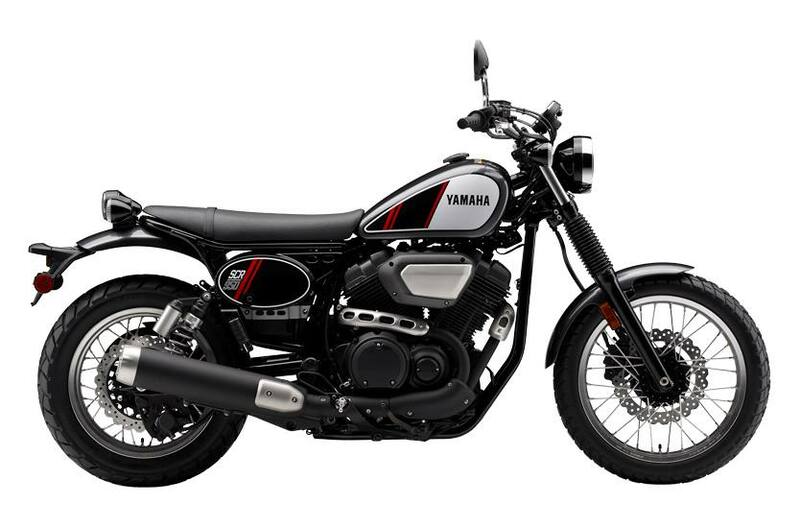 1575 mm (62") wheelbase provides light, agile handling, for a fun riding experience. Triple clamp mounted LCD digital meter / instrument: functions include; speedometer, odometer, dual trip meters, fuel reserve trip meter (counts kilometers since low fuel light activated), clock & range of warning lights; instrument functions can be "tabbed" through & reset using the LHS handlebar switch gear, allowing the operator to change instrument functions without taking hands off the bars. Round "vintage design" LED tail light.